Folks, she did it. The road was long and made even more difficult by five-inch Louboutins. The fight was brutal and even Leona Lewis had to lend a hand. However, in the end, it was all worth it because Lisa Vanderpump and her pink encrusted activism has ended the Yulin Dog Meat Festival. Oh yes, you heard me right. A report from The Daily Mail confirms that dog meat will NO LONGER be allowed at the annual event in China. Of course, we can’t give Lisa all the credit. I’m sure plenty of other hardworking activists were involved. But I also have no clue who else to thank because I’ve never heard anyone besides this woman utter a word about Yulin. The government is set to prohibit restaurants, street vendors and market traders from selling dog meat at Dongkou market at the barbaric Yulin festival. Still, we might not want to get too excited because confirmation of the ban is rather tenuous and it doesn’t seem to be permanent. Duo Duo and HSI are urging Yulin authorities to make the ban permanent, make public service announcements warning against transporting dogs for the dog meat trade that highlight the new associated penalties, enforce food safety laws and regulations and build a government facility to house dogs confiscated from the dog meat trade. Assuming this all works out, I am happy for all those who worked to end the event because it really does sound unpleasant and apparently some of the slaughtered dogs are actually people’s stolen pets, which is extremely fucked up. It’s nice those dogs aren’t going to die now. Additionally, this means Lisa will finally have to get a new goddamn storyline and presumably can no longer negotiate “X amount of Yulin coverage” into her Real Housewives contract. 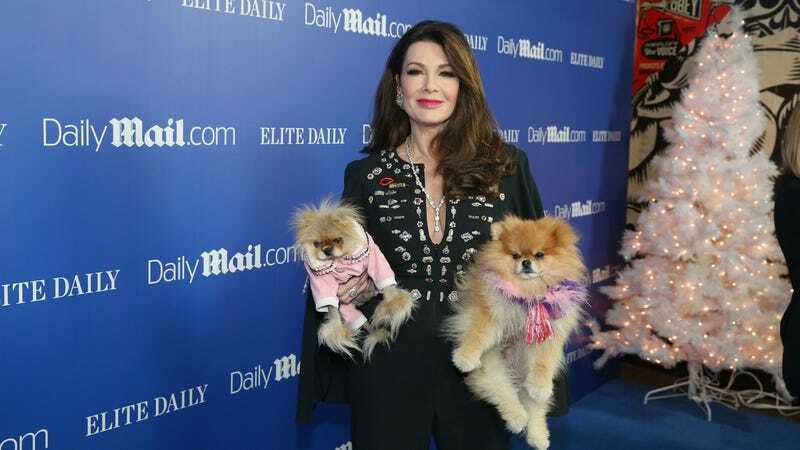 To know anything about Lisa Vanderpump is to know that in addition to an almost maniacal insistence that she owns the color pink, Lisa cares more about the wellbeing of dogs and other assorted animals costing $1,500 or more than she does for most human beings. Just ask her husband Ken, who I assume must clear it with Giggy before he climbs into bed each night. Millions of cats will still be transported to the festival to be brutally slaughtered in front of each other and sold for their meat, alongside other types of meat.